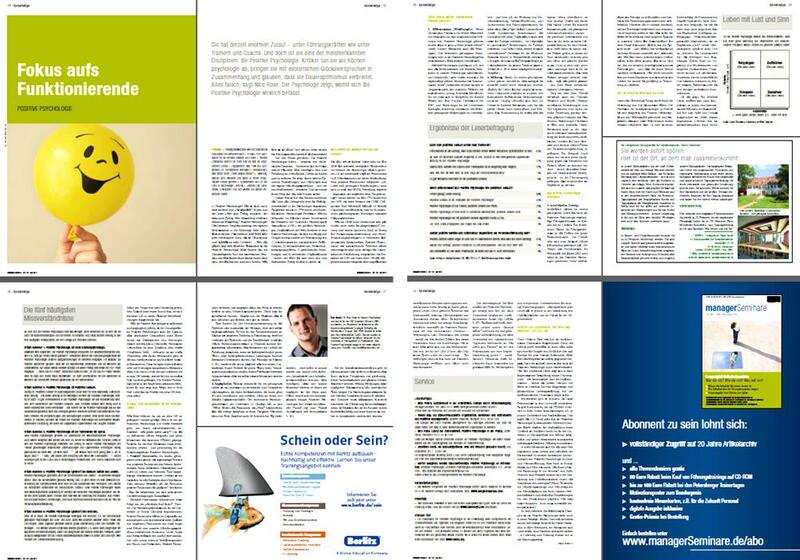 Yesterday, the new issue of “managerSeminare”, Germany´s premier monthly trade magazine on coaching, training, and HR topics was published. It features my 7-page article on the state-of-the-art of Positive Psychology, concisely covering a lot of the topics we´ve been learning in the MAPP program so far. If you know some German: Enjoy! ← The “Happy at Work Manifesto”: Do you have enough Arbejdsglaede?